See how our 2018 Bright Fundraisers are tracking. 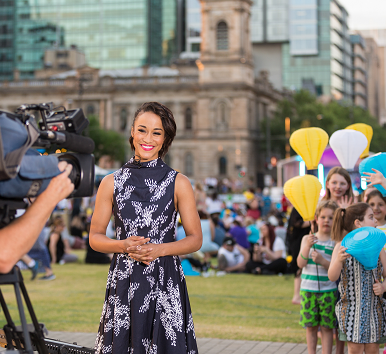 Now in its 11th year, Light the Night is a special event bringing Australia’s blood cancer community together in more than 140 locations as a sign of support and solidarity. This event will see the young and old, people living with blood cancer, families and friends, doctors, nurses and researchers walking as one. Gold lantern – to remember loved ones lost to blood cancer, while fundraising to help others facing a similar challenge. White lantern – for people who have been diagnosed with blood cancer themselves, while raising money to make a better future for those who may have to follow in their footsteps. Blue lantern – raised high by the community that surrounds us all, funding the lifesaving support services that their families or someone they know may one-day need. Leukaemia, lymphoma and myeloma are types of blood cancer. Blood cancer and related disorders can develop in anyone, of any age, at any time. The equivalent of one person every 41 minutes is diagnosed and there are around 60,000 Aussies currently living with the disease. Blood cancer is the third most common cause of cancer death in Australia and it kills more Aussies than breast cancer or melanoma. Although research is improving survival, sadly someone loses their life to blood cancer every two hours. 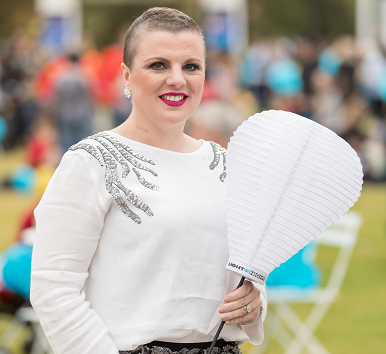 The Leukaemia Foundation is the only national charity dedicated to helping more Australians with blood cancer survive and live a better quality of life. Thanks to its supporters, the Leukaemia Foundation helps hundreds of families from regional Australia each year by providing free accommodation in capital cities so they can access life-saving treatment at major hospitals. The registered charity also offers free transport to medical appointments, counselling, information, education and practical support to families when they need it most.